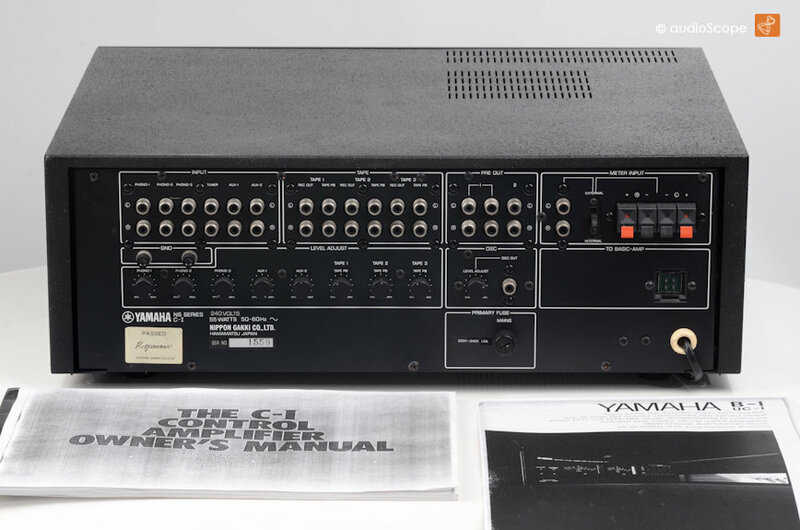 Yamaha C-1 Pre Amplifier for sale. 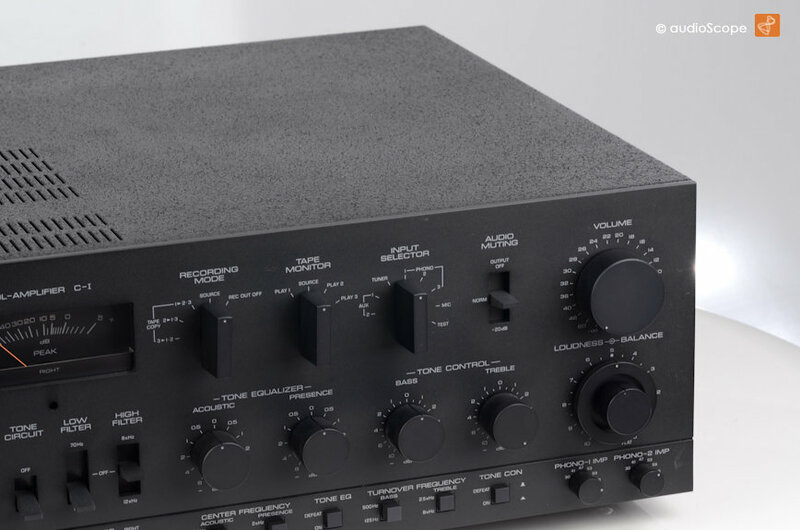 This is definetly the greatest audiophile preamp for creative audio! The input section is perfectly equiped. 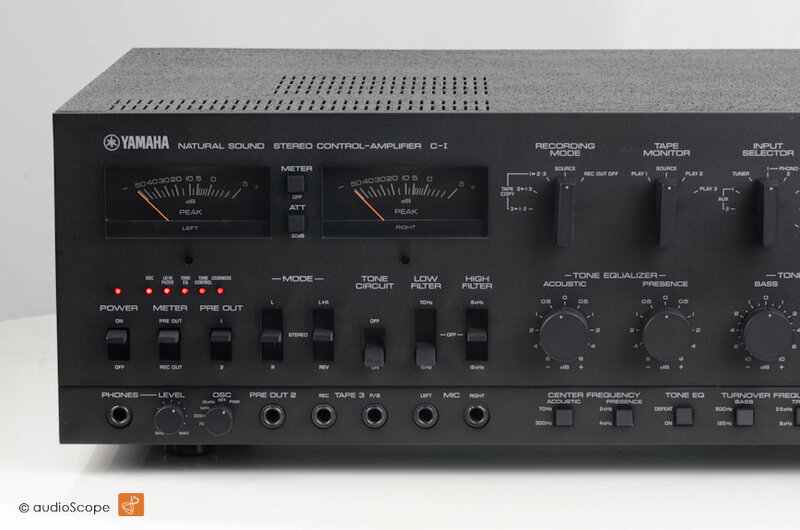 Six high level inputs, three phono and one mic input is enough, no matter what you are trying to realize.....There are two pre outs, controled from the front panel. There is also an integrated oscillator circuit, that can be very helpful in adjusting (pink noise, different sinus tunes). One of the most interesting impressions are the meters. They match laboratory standards and can be driven from extenal sources via speaker or high level inputs. Regarding the sound: Do you like to adjust sound to your actual mood? Do you love to overstep borders in the way you listen to music? Do you like to be part of the scene? This is actually the best equalization ever heard on a pre amp. All FET! 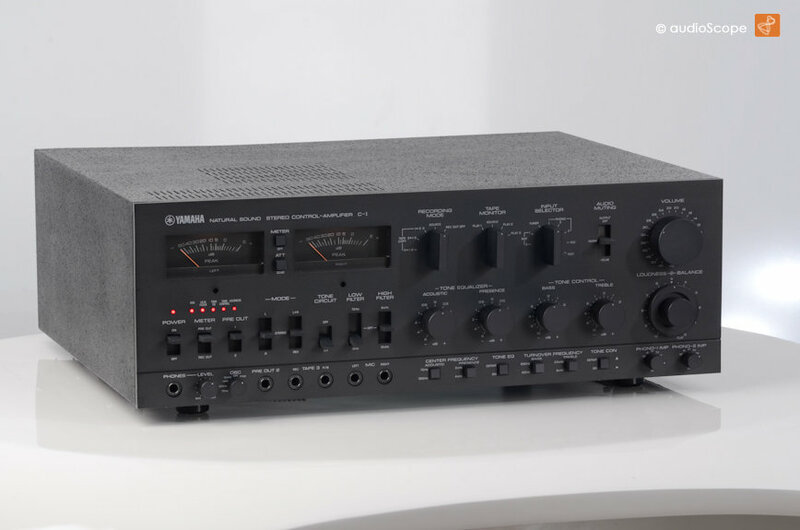 There might be nothing special if you just take a look, but it must be the combination of different equalization concepts that creates a real wide spectrum of analog adjustments. If the exponential function would sound (it certainly does), this is it. You would find it here when using and combining the various ambience, equalization, filter and the variable loudness function. Endlessness. 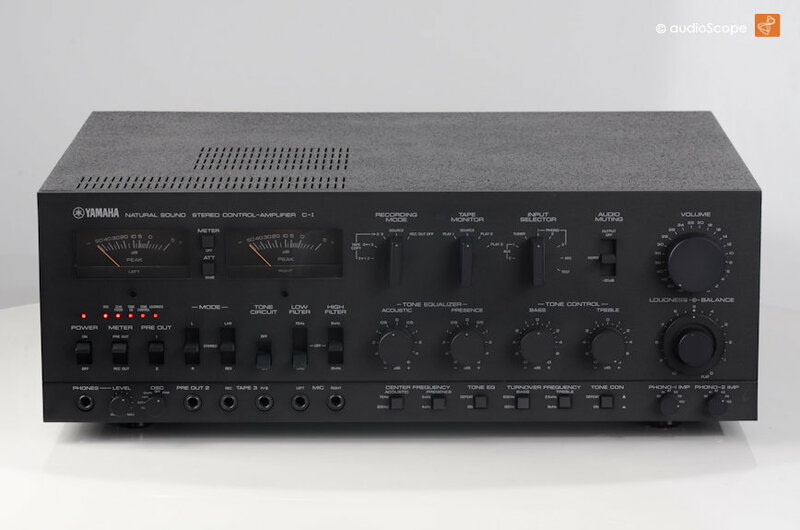 One of the real great japanese made preamps of the 70ies along with the Technics SU-A2, The Sansui CA-3000 and the...well that´s it. Completely restored in perfect optical and technical condition. Vintage 1975. The No. 1 Preamp for the creative "Dreamer"!